With our head office based in Everton in Liverpool, here at The Reader Organisation we love to offer as many opportunities for local people, whatever age, to enjoy our shared reading groups. There are a whole range of exciting story and song groups around Everton for you and your little one to try. All of our groups are free, so why not come along and join in? Sharing stories and rhymes with your child is one of the best ways to help them develop speech, imagination and creativity. It is also a wonderful opportunity to spend time with your baby or toddler in a fun, friendly environment. and on a Friday morning you can celebrate the end of the week with Time for a Rhyme at Whitefield Primary School, 9-10am. 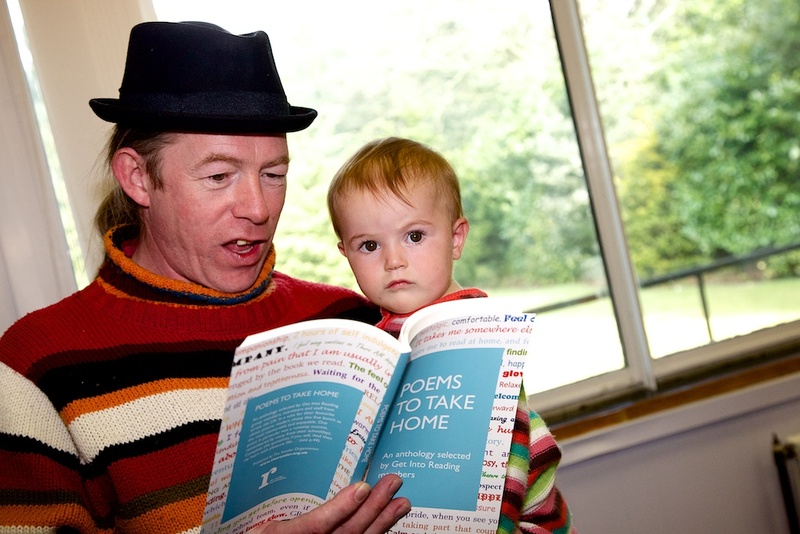 The Time for a Rhyme group is term time only, but you don’t have to have a child registered at the school to attend. For the older children, we run a Family Story Time group at Breck Road Library, 3.30-4.30pm on Fridays. Children of any age can come along with parents or carers and enjoy games, colouring and a story; refreshments are also provided. But before all of you grown ups feel left out, don’t worry! There are several free reading groups for you to come along to as well. Noveltea is at BNENC (Breckfield Road North) on a Tuesday, 12-1pm and Book Brunch runs at Breck Road Library at 10.30am-12pm every Friday. Time for a Cuppa is our crafty reading group, every Thursday morning at Whitefield Primary, 9-10.30am. You don’t need to know anyone at the school, just come and join us for crochet (absolute beginners very welcome! ), a story and a poem. All of our adult reading groups involve tea, biscuits and friendly faces. You don’t have to read aloud, but you can if you want. We read the book together in a relaxed environment and talk about the story; you don’t have to read anything in advance. Please don’t miss out on these exciting groups in your local area; they’re free, fun and offer you the chance to meet other adults and parents. Also, remember to keep an eye on The Reader Organisation’s Twitter account (@thereaderorg) for details of special events in the area. I hope to see you all soon! Our Everton story time sessions for children under 5, their parents and carers run in association with LCVS and Thrive at Five. For all the information of our groups for children and young people, as well as our open groups in and around Everton, see the Reading With Us page on our website. The Mansion House at Calderstones has become a hive of activity once more, with summer seeing it the place to be. Not only did we reopen the Garden Theatre after 30 years in spectacular style with two showstopping performances of King Lear by Shakespeare’s Globe earlier this week, but there’s also an exciting programme of events still to come including a grand Summer Fair at the end of this month with tons of fun to be had for the whole community. The TRO presence would not be complete without a good dose of shared reading; we’re currently running several groups at the Mansion House each week, including weekly groups for children and young people. Every Saturday morning our Caldies Creatives take over, offering fun, games and crafts for 7-13 year olds and on Thursday afternoons it’s time to gather teddies and books for the Teddy Bears Picnic. With a few weeks of the summer holidays left – and hopefully lots more sunshine to come – both groups are perfect to keep the kids entertained, with plenty of space in the park to run around and play after lots of reading. Attending a Teddy Bears’ Picnic at Calderstones Park in the glorious sunshine is one of the many difficult tasks I have been asked to endure since starting at The Reader Organisation. OK, I admit it. I have an amazing job! Other activities I have attended or organised include a family fun day at Zap Play Centre in Everton, a pirate themed story time and craft session at Central Library, a picnic in Everton Nature Gardens with stories and songs and a Bookstart story time at St George’s Hall. I am also planning a Splash and Rhyme session at Everton Children’s Centre and looking forward to running story time sessions at the upcoming Out of the Blue Festival. I have even met such celebrities as Peppa Pig and the Bookstart bear herself, it’s all very glamorous. 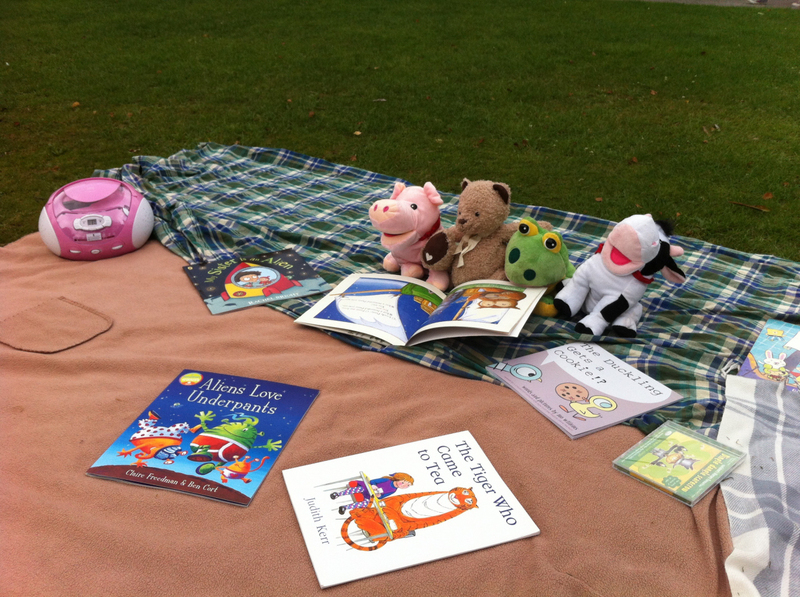 Being a Family Project Worker in Everton, I love any excuse for a story time, especially one that involves songs and teddies! So of course I was thrilled when Ro invited me to attend her first Teddy Bears’ Picnic group at Calderstones. At The Reader Organisation we are always trying to think of fun and exciting ways to bring families together through a love of reading and imagination and we were thrilled when so many families joined us on our very first session and enjoyed themselves so much. The Teddy Bears’ Picnic at Calderstones is run by the fantastic Ro, who is incredibly creative and shares my love of children’s books and songs. When the sun is shining the picnic takes place on the grass at the front of the Mansion House and if it is raining the group will be indoors, inside the Mansion House. Under fives are invited to bring along teddies, parents and carers for a fun-filled hour of stories and songs. Ro brings a selection of stories and the little ones can chose which to read, as well as which songs to sing (if we don’t have it on CD we’ll do our very best to sing it, no promises as to how in tune we will be though!). As part of my role, I facilitate several under fives groups in Everton in association with Thrive at Five and every single one is so different; the little ones are so engaged in the stories and offer amazing insights and observations. One seven month old loves story time so much that every time he enters the storytelling area, he begins to bounce up and down, ready for a song! 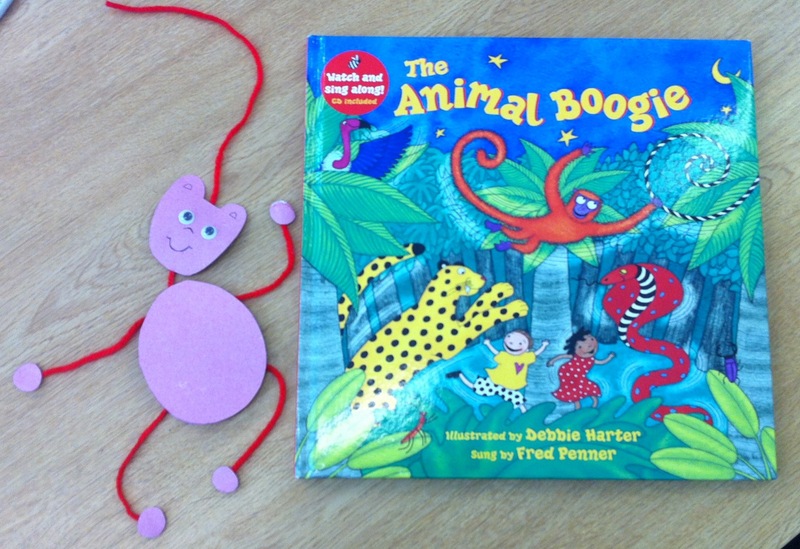 Story time is a wonderful opportunity to spend quality time with your baby or toddler, whilst gaining an excuse to listen to a kids’ story and sing a few songs: who doesn’t love The Tiger Who Came to Tea and the Hokey Cokey? Lots of parents have said to me that their children love story time so much that they insist on re-creating it at home! We would love for you to come along and join in. Contact Ro to find out more about the latest activities in Calderstones on roisinhyland@thereader.org.uk or if you would like to know any more about my story times sessions in Everton or be informed of any one-off events in Liverpool, please don’t hesitate to email me on lauralewis@thereader.org.uk . Also remember to keep an eye on TRO’s and Caldies Mansion Twitter accounts for all of our latest adventures! Teddy Bear’s Picnic runs Thursdays, 1.30-2.30pm for children under 5, their parents and carers, and Caldies Creatives is on Saturdays, 10-11.30am for young people aged 7-13, both at Calderstones Mansion House. Our Everton Magical Storytime sessions for children under 5, their parents and carers run in association with LCVS and Thrive at Five, with a new ‘Tales With Teddy’ group running each Wednesday afternoon, 1-2pm, at Mere Lane Health Centre. For all the information of our groups for children and young people, see the Reading With Us page on our website.